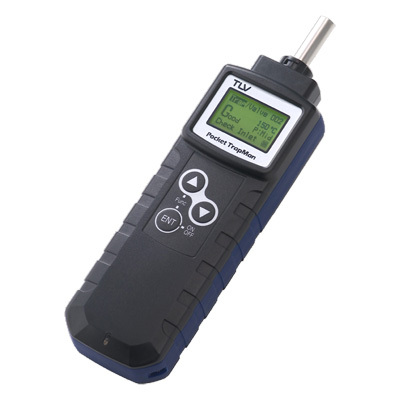 The PT1 Pocket Trapman® from TLV Euro Engineering is a compact diagnostic tool designed to make basic operational judgements relating to steam traps, valves and bearings. The tool is intended to help identify where service, repairs or replacements may be required. The PT1 Pocket Trapman® uses ultrasonic and temperature detection technology to simultaneously measure vibration and surface temperature and, within 10-15 seconds, displays operational judgements based on its findings. The results are displayed on an integrated digital screen and show one of five diagnoses for steam trap inspections (Good, Blocked, Caution, Lowtemp or Leaking) and three for valves (Good, Caution or Leaking). In all cases, the surface temperature of the trap or valve is also displayed. As well as diagnosing traps and valves, the PT1 Pocket Trapman® can also be used to inspect bearings, displaying average and peak vibration acceleration levels, CF values and surface temperature, within 60 seconds. Powered by two AAA batteries, the tool provides eight hours of operational use and stores the results of up to 100 inspections in its internal memory. In a recent application for a laundering services company, TLV's PT1 Pocket Trapman® diagnosed a large leak that would have cost the company more than GBP2,500 worth of lost steam per year.